ARTICLE 1°.- Approving the Prosecution of Cristina Fernández de Kirchner -and her accomplices- for the crime of Covering up of terrorist attacks, which constitutes a Crime against humanity, as was opportunely Sentenced by the Buddhist Tribunal on Human Rights in December 2015. ARTICLE 2°.- Reproving the Human Rights Watch’s Communiqué where the prosecution against Cristina Fernández de Kirchner is criticized. ARTICLE 3°.- Ordering Human Rights Watch to abstain from continuing to irresponsibly opine on the "Argentina Case" previously sentenced by the Buddhist Tribunal on Human Rights, having the duty to promote respect for the memory of Prosecutor Nisman, who was assassinated by the former Argentine government. ARTICLE 4º.- Inviting Human Rights Watch to collaborate and work together on investigations concerning human rights violations. ARTICLE 5°.- Communicating Human Rights Watch that the current Argentine government of President Macri continues to carry out a framework of systematic violation of human rights, both in the prison field and in the oppressive regime of the Tribal Communities and Indigenous Peoples of Argentina. 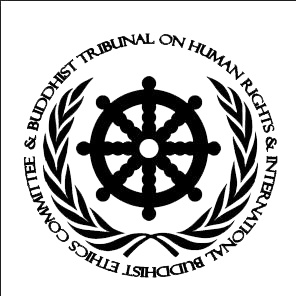 ARTICLE 6°.- Offering Human Rights Watch all the Active Contemplation, Compassionate Wisdom and Humanitarian Ethics possessed by International Buddhist Law.